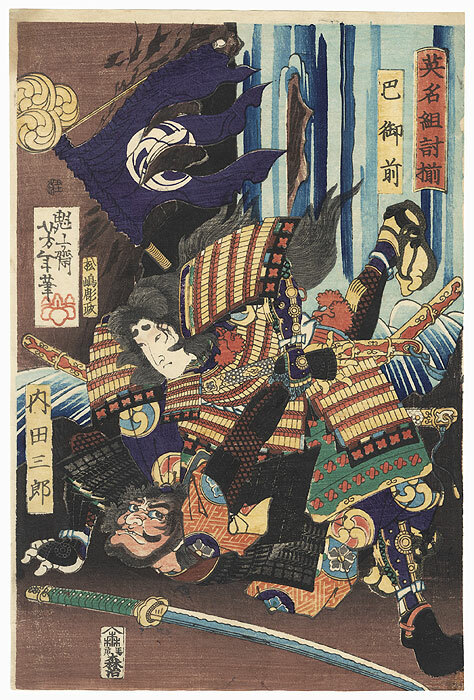 Tomoe Gozen, Wife of Kiso Yoshinaka, Defeating Uchida Saburo, 1865 - Incredible scene of the woman warrior Tomoe Gozen fighting Uchida Saburo at the foot of a waterfall. 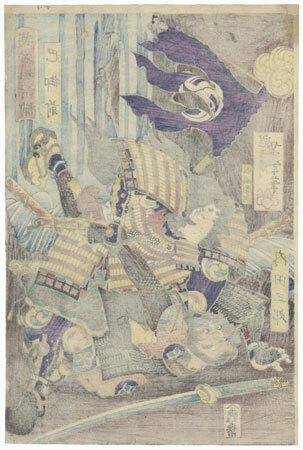 Wife of the samurai Kiso no Yoshinaka, the brave beauty forces her opponent to the ground, wrenching his arm behind his back as she firmly grips his neck. She wears full armor, her long black hair streaming out behind her. Her torn and tattered sashimono or personal banner flutters above her head. The rushing waterfall and craggy rocks provide a dramatic background for the struggle. A fantastic early Yoshitoshi from a rarely seen series. 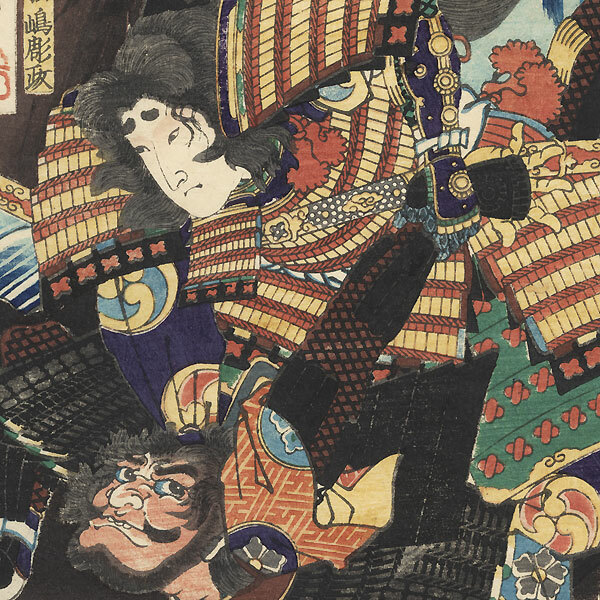 A great choice for a Yoshitoshi collector or samurai enthusiast. Condition - This print with excellent color and detail as shown. Small loss at corner, hole, repaired. Slight soiling, a few creases and marks. Please see photos for details. Good overall.